Black and White Minimalist Photography using Less Elements and negative space to amplify the attention on the subject. To compose, I placed the subject on the right, where I have primarily interpreted the subject as intersecting lines. 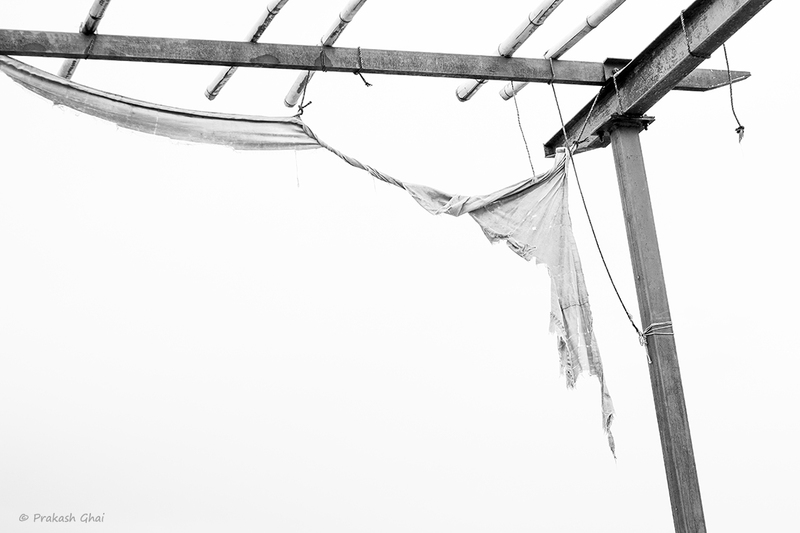 The torn hanging cloth adds to a bit of a story or lets say art effect to the image. To Edit this and make it look this way, one needs to simply slide up both the contrast and the brightness slider. The contrast slider a lot more, that makes the background almost disappear and makes the subject stand out. Note: don't overdo it but.